Good advice, excellent service, fast delivery, what more could i say, i would recommend your company.. 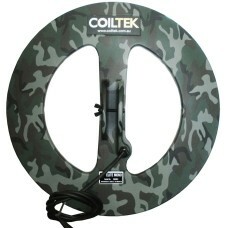 The ELITE coils utilise a new winding innovation which was created and released by COILTEK. The winding optimises the transmit and receive signals and therefore improves depth and sensitivity when compared to a standard wound similar sized coil. 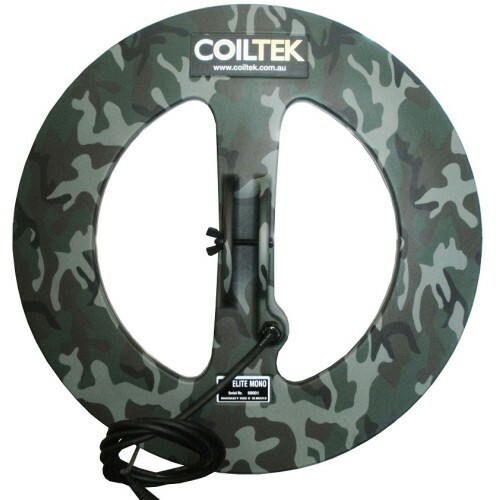 Other brands have copied the innovation and claim to have the performance of the Coiltek however customer reviews and comments prove that the Coiltek ELITE coils are choice for performance, reliability and customer service from HQ and the dealers who work with the Coiltek Brand. The ELITE coils are wound with a high grade LITZ wire and care is taken with every coil to ensure overall consistency in performance. The new CAMO look is there to help improve the uniqueness of the coil and set it apart from the competition. The ultimate proof of the performance is in the customers’ reviews and success stories and they are too numerous to mention. Any detector operator with a SD / GP/ GPX machine could be missing out on Optimising Discovery if they are not swinging with the ELITE.